Kaylie McGraw is a 2018 summer conservation intern with the Nature Conservancy of Canada's New Brunswick Region. 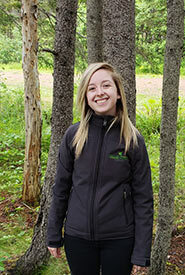 She is a biology student at Mount Allison University with an interest in the natural world. She's excited to be applying her studies and call the Bay of Fundy her "office" for the summer.